While a few months ago I was ready to eat up every little tidbit we could learn about Inception with a spoon, now I think I know enough. 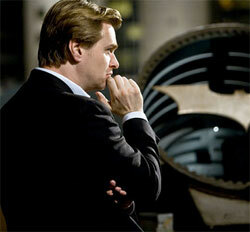 I like the idea of going into Christopher Nolan’s movie being mostly, still in the dark. Or I did until this new Inception featurette. I think now maybe I know too much. The LA Times has posted four new images from Christopher Nolan’s surreal, upcoming sci-fi movie Inception. By the way, even though it’s release is drawing close, no one still has a clue what it’s about. Here’s the LA Times best guess at explaining it, along with the new photos. The movie may be Hollywood’s first existential heist movie, and though that may not sound like typical fare for the air-conditioning months, Warners and Legendary Pictures are banking on the movie catching on as a brainy “Mission: Impossible” by way of “The Matrix.” In other words, the globe-trotting movie may have had its subconscious baggage packed by Sigmund Freud, but it also carries a passport stamped by Ian Fleming. DiCaprio says Nolan is the perfect director to turn that unlikely combination into a July hit. Dark Knight director Christopher Nolan has announced that his next project will not be a third Batman movie as many had thought, but instead a science fiction movie called Inception. Variety reports that his TDK backers at WB will fund the thing, perhaps in the hopes that he’ll get around to another Batman movie when he’s done. No word yet on what it’s about, but expect Inception in movie theaters for the summer of 2010.